McALLEN — During the winter and into the spring as the McAllen mayoral campaign swelled, a common topic during debates and on the trail surrounded city spending. Specifically, incentive packages for businesses. Typically, the city has given incentive packages to lure non-Rio Grande Valley businesses to the region. The city calls those incentive packages “380 agreements.” City officials often refer to businesses they give these agreements to as “first to market” — they want to give incentives to businesses that don’t currently exist in the region. The most recent example of a 380 agreement offered by the city was $3.3 million to bring the entertainment venue Dave & Buster’s to McAllen earlier this year. More recently, McAllen was trying to bring Topgolf to the city. But Thursday, Pharr announced it landed the sports entertainment venue. Pharr City Manager Juan Guerra declined to reveal the incentive agreement because it was not finalized, he said. Local officials estimate the incentives for Topgolf in the multi-millions. After executive session of the May 8 McAllen City Commission meeting, two days after Mayor Jim Darling won re-election for a second term, commissioners voted to give a 380 agreement to a new microbrewery in north McAllen. District 5 Commissioner John Ingram was the lone commissioner who voted against giving the 380 agreement. That agreement, obtained by The Monitor, was signed by all parties this week. The difference with this 380 agreement is that it was given not to those outside the Valley, but to local businesspeople. The microbrewery will be owned by, among others, Seby Haddad, a local banker who is also an owner of Gamehaus Gastropub. Other partners from Gamehaus will also be involved in the microbrewery, Haddad said. Gamehaus has been in an ongoing lawsuit with the city for years. 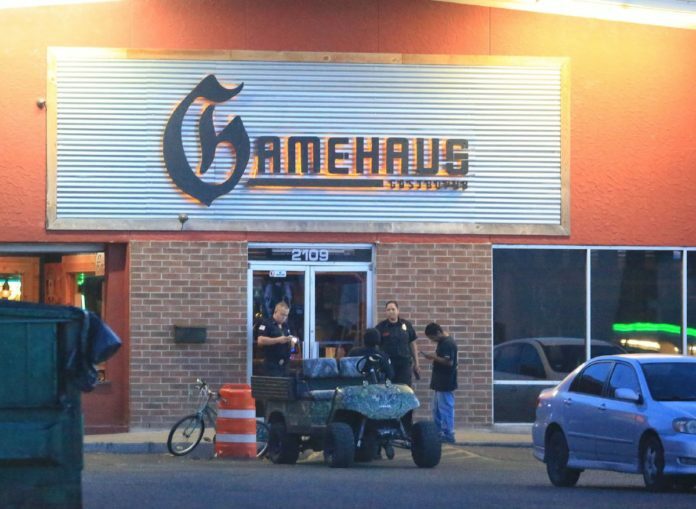 Leadership from both Gamehaus and the city declined to discuss the pending litigation. The master plan for the concept has been in the works for years, Haddad said, and has been discussed with the McAllen Economic Development Corporation and city for about a year. The microbrewery will be located near the intersection of North 10th Street and Wisconsin Road. It will feature brewing on site as well as a large selection of craft and micro-beers and a full bar, Haddad said. The name of the microbrewery, specific food and drink menu and style of space will be kept under wraps until design plans are finalized, Haddad added. The agreement calls for a “14,000 square-foot microbrewery restaurant and entertainment consisting of 8,000 square feet of air-conditioned space and 6,000 square feet of exterior patio space.” Haddad said the opening date will likely be late winter 2018. Ingram, the only commissioner who voted against offering the incentives, has often argued for tighter city spending, especially in regard to offering incentive packages. This case was no different. The city does not have a policy regarding incentives, whether it involves local businesses or not, Darling said Friday, but he wants to discuss with commissioners implementing some sort of incentives policy.